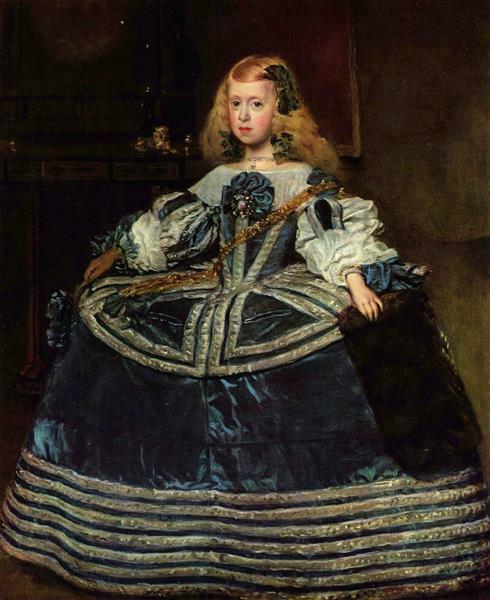 Philip IV's first wife, Elizabeth of France, died in 1644; and their only son, Balthasar Charles, died two years later. 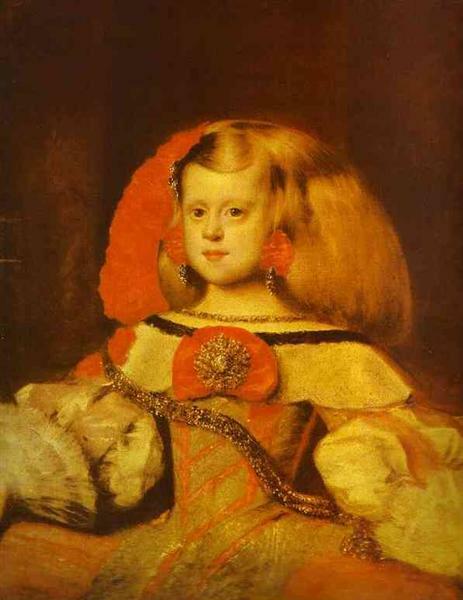 Lacking an heir, Philip married Mariana of Austria in 1649, and Margaret Theresa (1651–1673) was their first child, and their only one at the time of the painting. 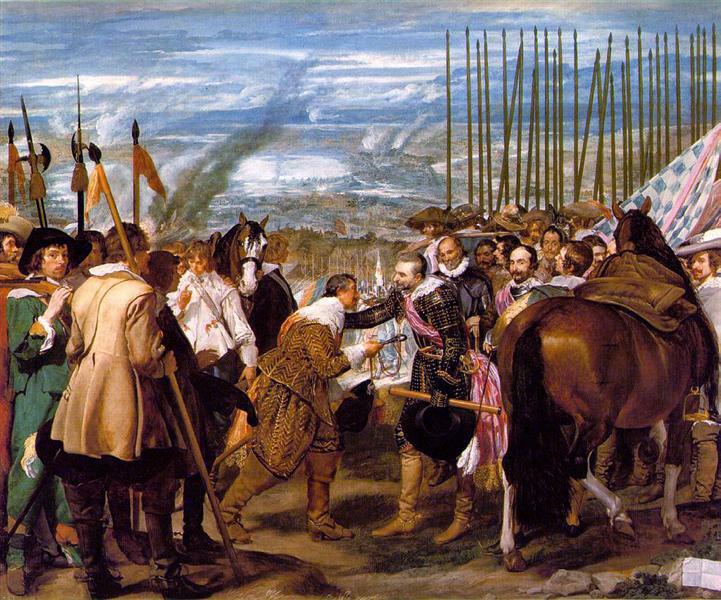 Subsequently, she had a short-lived brother Philip Prospero (1657–1661), and then Charles (1661–1700) arrived, who succeeded to the throne as Charles II at the age of three. 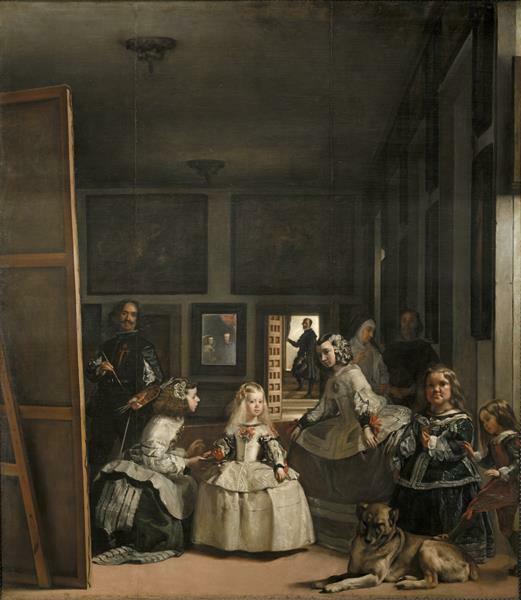 Velázquez painted portraits of Mariana and her children, and although Philip himself resisted being portrayed in his old age he did allow Velázquez to include him in Las Meninas. 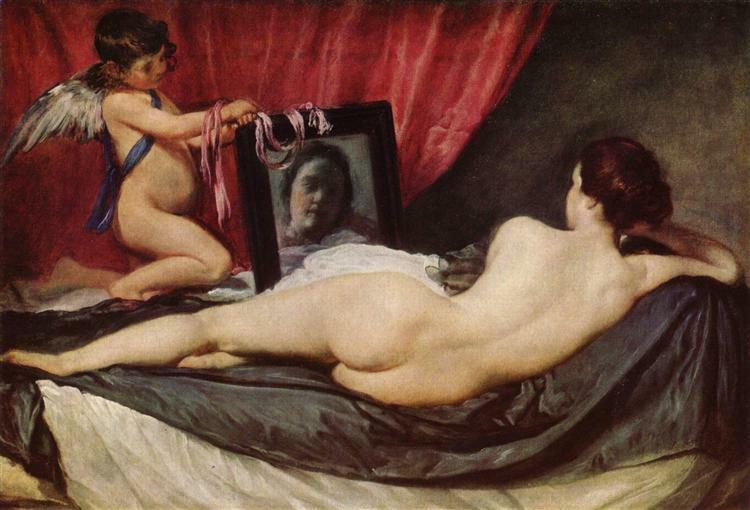 In the early 1650s he gave Velázquez the Pieza Principal ("main room") of the late Balthasar Charles's living quarters, by then serving as the palace museum, to use as his studio. It is here that Las Meninas is set. 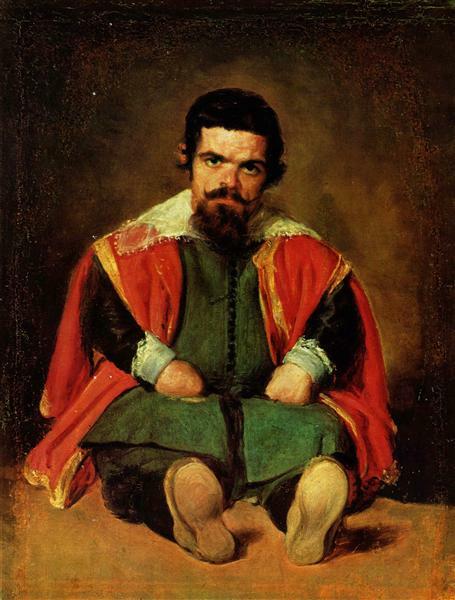 Philip had his own chair in the studio and would often sit and watch Velázquez at work. Although constrained by rigid etiquette, the art-loving king seems to have had an unusually close relationship with the painter. 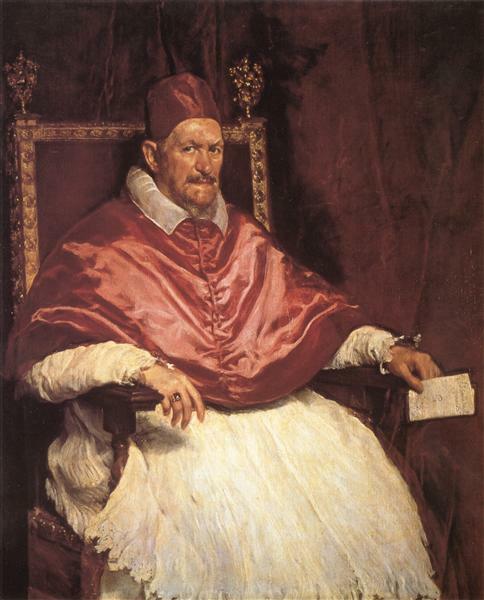 After Velázquez's death, Philip wrote "I am crushed" in the margin of a memorandum on the choice of his successor.